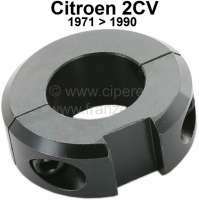 Starter lock completely, for Citroen 2CV starting from year of construction 1974. 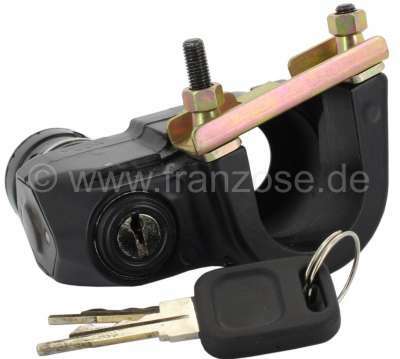 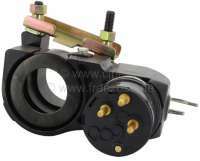 Inclusive Key + U-shaped bracket for the securement at the steering column. Connection, in direction of travel seen: above malve (pink), on the left black or blue, on the right red.